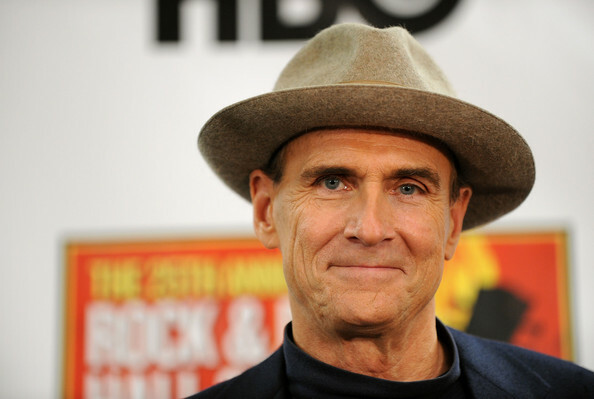 On the 2nd of March my all time favourite musician, James Taylor, was presented with The National Medal of the Arts by President Obama. Created in 1984 by the US Congress to honor artists and patron of the arts, the medal is the highest honor conferred to an individual artist on behalf of the people. 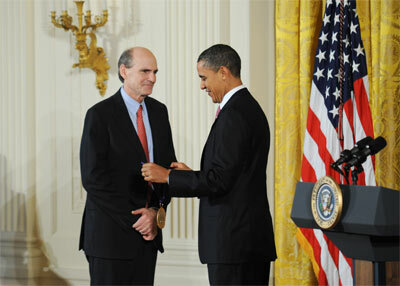 The honorees are chosen by a committee (NEA) and presented by the US President. This year James was among artists such as fellow musician Quincy Jones, author Harper Lee and actress Meryl Streep. With a career entering into it’s fifth decade, this honor is the latest in a long list of accolades including 40 gold, platinum and multi-platinum awards and five Grammy Awards. In 2000 James was inducted into both the Rock ‘n’ Roll Hall of Fame and the Songwriter’s Hall of Fame. The North Carolina native has sold more than 40 million albums and recently finished a worldwide tour with Carol King on their ‘Troubadour Reunion’ show. I have been lucky enough to see him twice; the first time as a seven year old when my Dad took me along when he toured in Perth. I can remember only snippets of the concert but it was more that I can remember the music which resonated in my soul and spawned my love for him. The second time was in 2003 in Sydney for his Pull Over tour. I got to appreciate him as an adult and share the amazing muscial experience with Jay. From his 25 studio albums, my favourites are JT (1977), Hourglass (1997) and October Road (2002). What a wonderful honor for such an amazing musician who means so much to me.